Skyhawks Named a 2019 Franchise 500 Company! | Post on News. Skyhawks Named a 2019 Franchise 500 Company! 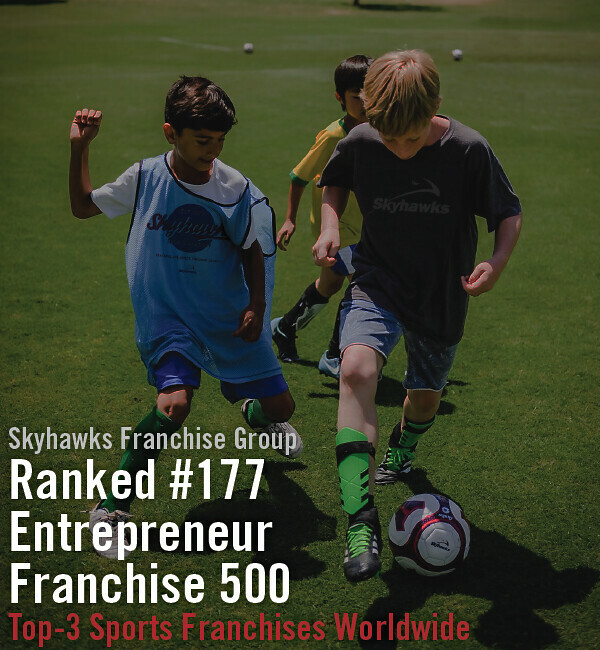 In Entrepreneur’s 40th annual Franchise 500®, the publication’s highly regarded and competitive list of the top 500 franchises, Skyhawks is excited to announce that Skyhawks Franchise Group has been placed #177 on the list. This news is very meaningful since Skyhawks’ ranking improved by an outstanding 107 places since last year’s ranking. The Franchise 500® has been considered the top worldwide franchise ranking with over 1,000 franchise companies vying for a spot on the list. Rankings are based on costs and fees, growth rate, financial strength and stability, corporate support, and brand strength. Each franchise is given a cumulative score based on an analysis of more than 150 data points, and the 500 franchises with the highest cumulative scores become the Franchise 500® in ranking order. “For the second straight year, we are thrilled to make Entrepreneur’s Franchise 500® as one of the best children’s fitness franchises in the world. I’m proud to be a part of an organization which makes a difference in the community through teaching life skills through sports to children and young adults,” says Jason Frazier, President of Skyhawks. Skyhawks Franchise Group is stronger than it has ever been. In 2018, Skyhawks launched the first international SuperTots franchise in Suzhou, China, which received great feedback from Chinese audiences. In addition, the creation of 27 new domestic territories and increased revenue over the previous five quarters helped to drive one of the largest increases in Entrepreneur’s rankings this year. Over its 40 years in existence, the Franchise 500® has become both a dominant competitive measure for franchisors and a primary research tool for potential franchisees. Skyhawks Franchise Group’s position on the ranking is a testament to its strength as a franchise opportunity. With a low initial investment, Skyhawks franchisees see a quick return on their investment while enjoying a flexible work life and receiving exceptional support from the Skyhawks team, which are just a few perks of becoming a member of the Skyhawks family. If you are interested in becoming a Skyhawks or SuperTots franchise owner, please visit Skyhawks.com/franchise or SuperTotSports.com/us-franchise for more information.